Stuffed dolls of all sizes and decor were available to retailers at wholesale prices. 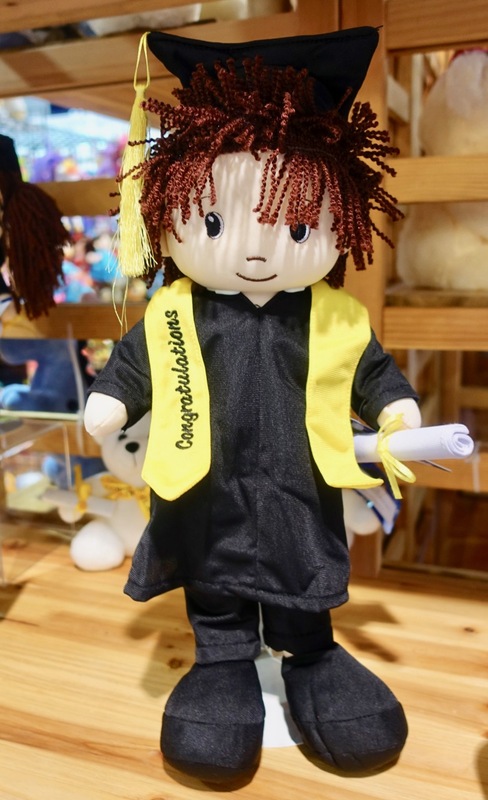 This graduate doll was part of the Lindsey Toys exhibit. Want to know where retailers go to shop? Those interested in profiting by buying goods wholesale and selling them at retail prices may very well be among the attendees at the Las Vegas ASD Show, also called ASD Market Week. 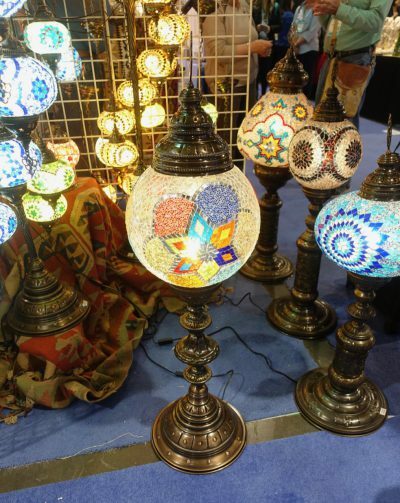 The Spring show was held March 17-20 at the Las Vegas Convention Center. ASD Market Week, now organized by Emerald Expositions, began as a military surplus trade show in 1961. The letters “ASD” originally stood for Associated Surplus Dealers, but eventually the show added Associated Merchandise Dealers (AMD) and now the event is simply known as ASD. General and specialty goods of all price levels are available at the show, though the majority of products I’ve seen are in the low to medium-priced level. In the South Hall, in addition to scores of stuffed animals, I did see a number of specialty products that I would not call mainstream. And my my my (that’s someone of a grandmother’s age speaking) the number of items related to smoking things other than cigarettes was quite amazing. Parking at the Las Vegas Convention Center is not easy, particularly since construction of new buildings has taken over parking that used to be available on Convention Center Drive. I was lucky to find a spot on a road near the South Hall. A bit of walking was involved, but fortunately, the hips and knees are in reasonably good shape. The ASD show is held twice a year, in March and July. Attendance is 45,000 plus, and average “spend” at the show is said to be $80,500. The marketing material says that more than 2700 exhibitors participate in the show. At the March show more than one million products were on display. The accompanying video showcases just a few of those products from the convention center’s South Hall. Import Corner had an unusual display of decorated lamps on display and for sale. In addition to the huge trade show, ASD attendees also had their choice of some 90 educational offerings such as a one-day conference known as the “Retail Academy”, a class in “Amazon 101: Getting Started on the Amazon Marketplace” and a class called “Navigating the Legalities and Risks of CBD (cannabinoid) from a Retailer’s Perspective”. I have a friend who used to attend this show regularly to buy jewelry and accessories for her boutique. “I spent a lot of money there too,” she said. Although my friend no longer runs the boutique full time, she continues to attend the show and the other night showed me several pieces of jewelry she had purchased at the cash and carry jewelry portion of the show.